This hat was my take on a modern pschent. A pschent was the name of the double crown of Egypt. 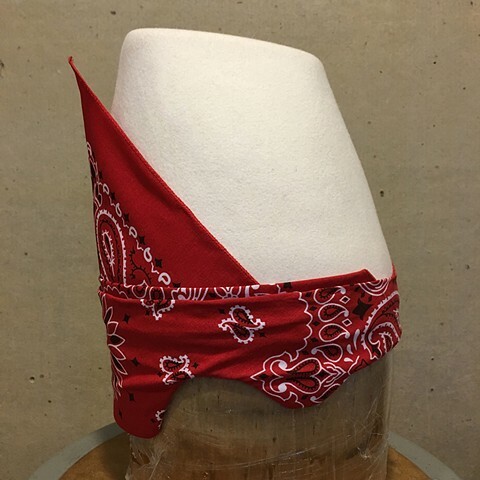 The hat was made by combining a blocked felt with a wired bandana on a molded cap form.